Carrie Chenery, executive director of the Shenandoah Valley Partnership, will headline the Scott Symposium on Business Ethics at Bridgewater College on April 25. Chenery will speak on “Striking a Balance: Economic Development in the Shenandoah Valley” at 7:30 p.m. in Cole Hall on the college’s campus. The symposium is free and open to the public. SVP is the region’s economic development and marketing organization, dedicated to business attraction, business expansion and workforce development opportunities in the Shenandoah Valley. It represents 12 localities and more than 170 private sector members. Chenery formerly worked in the Virginia Office of the Governor where she served as the assistant secretary of agriculture and forestry and was responsible for the oversight and advancement of economic development efforts, including providing administration of the Governor’s Agriculture and Forestry Industries Development (AFID) fund, related to Virginia’s largest private industries of agriculture and forestry. Before working in the governor’s office she was manager of legislation and policy at the Virginia Economic Development Partnership, and was a director of government affairs with the law firm Williams Mullen. A native of Rockbridge County, Chenery is a graduate of Virginia Tech, where she earned a bachelor’s degree in environmental policy and planning and agriculture and applied economics. She is also a graduate of the Political Leaders Program through the Sorensen Institute for Political Leadership at the University of Virginia. Chenery serves on the Shenandoah Valley Workforce Development Board, the Massanutten Technical Center Foundation Board, the Center for Rural Virginia Board, the Mary Baldwin University Advisory Board of Visitors, and as a gubernatorial appointee to the Virginia Biotechnology Research Partnership Authority Board. She lives in Staunton, Va., with her husband, Taylor. The Scott Symposium on Business Ethics is named in honor of Bridgewater College’s former vice president for institutional advancement Charles H. Scott and his father, the late Harvey H. Scott, who served on the college’s board of trustees for more than 30 years. The symposium was developed to provide training for Bridgewater College students who are emerging leaders and future participants in the workplace. The goal of the symposium is to foster and encourage a strong foundation of morals and ethics to prepare Bridgewater students to address the challenges they will confront in a diverse world. 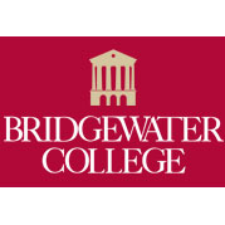 Bridgewater College is a private, four-year liberal arts college, located in the Central Shenandoah Valley of Virginia. Founded in 1880, it was the state’s first private, coeducational college. Today, Bridgewater College is home to nearly 1,900 undergraduate students.